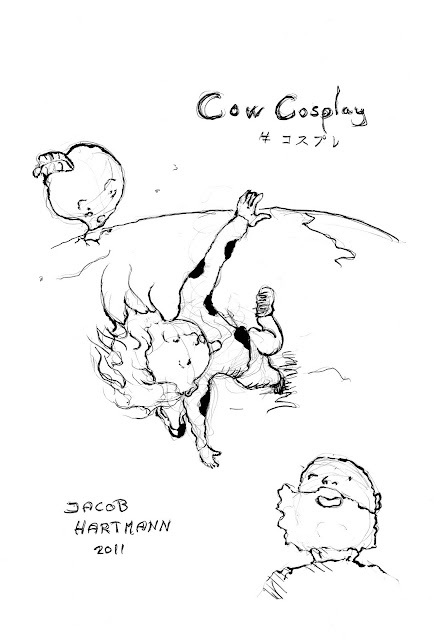 Just finished my fourth comic: Cow Cosplay. It's about a craazy hobo wizard who needs help from a girl in a cow shirt. Click the illustration for the link to download the PDF.